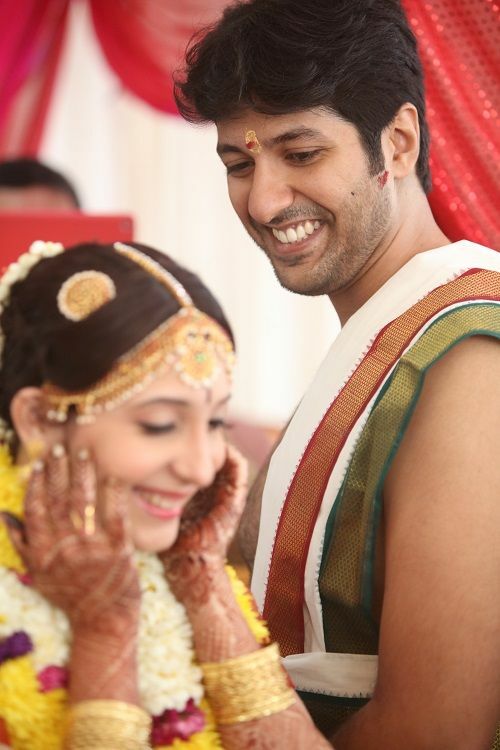 #Aww: Young Love Leads To A Magical Tam-Brahm Wedding! 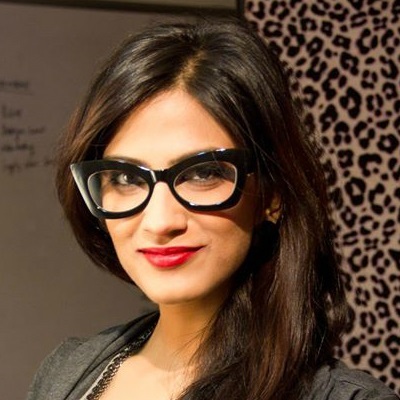 Mridula Iyengar and Rahul Bhardwaj met when they were both just 17-years-old. Ten years later, they tied the knot in a beautiful ceremony on the 31st of January, 2016. Mridula and Rahul met during their college days at a coaching center. They were both 17 at that time and instantly took a liking towards each other. The couple had a beautiful relationship for 10 years until they decided it was time to make it official! 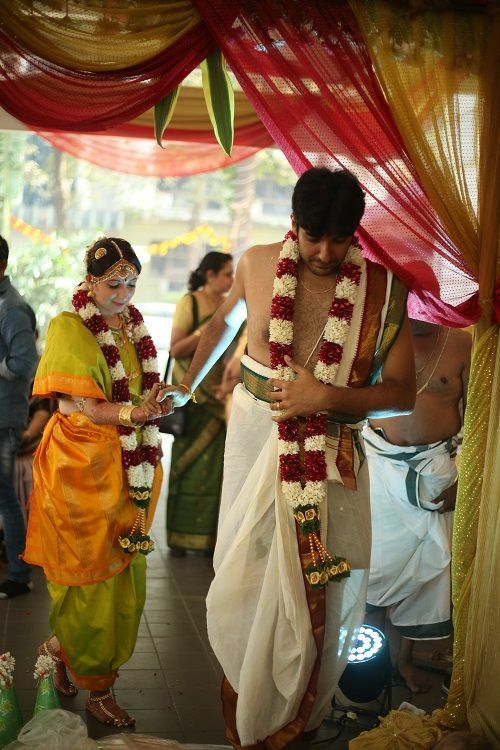 Mridula and Rahul, both Tamil Brahmans, tied the knot in an adorable wedding ceremony in Mumbai. “We are both Tam-Brahms, so this was the first sangeet in both our families,” shares Mridula. The couple performed on When you say nothing at all by Ronan Keating, a song that Mridula had always dreamt of dancing on with Rahul. The bride and her besties DIY’d the sangeet decor using her mom’s kanjeevaram and silk sarees along with colourful bangles! 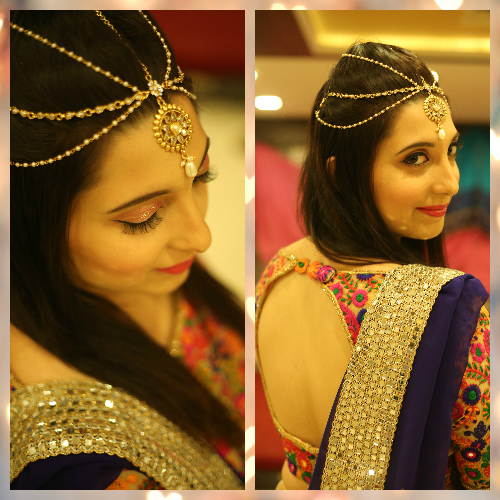 Mridula wore a colourful lehenga with mirror-work and accessorised it with an off-beat multi-string headgear. 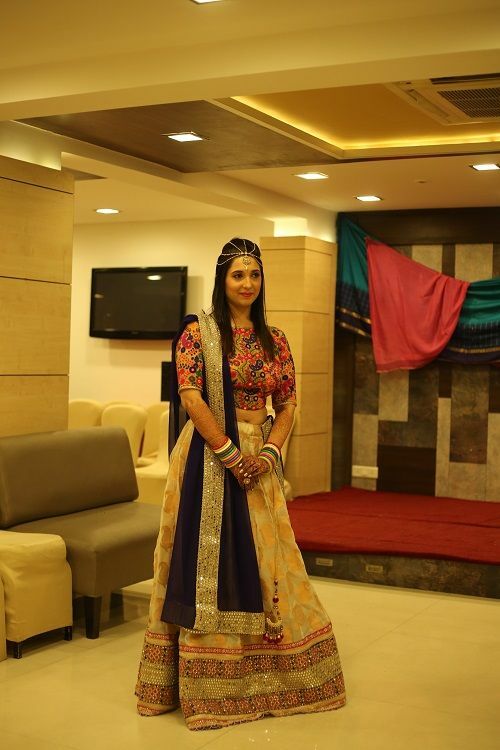 The lehenga is made from an especially picked Orissa handloom saree by WhySoBlue. “We Tam-Brahms cannot start our day without our steaming cup of kaapi and newspaper. So Rahul and I put together copies of ‘The Wedding Times’! 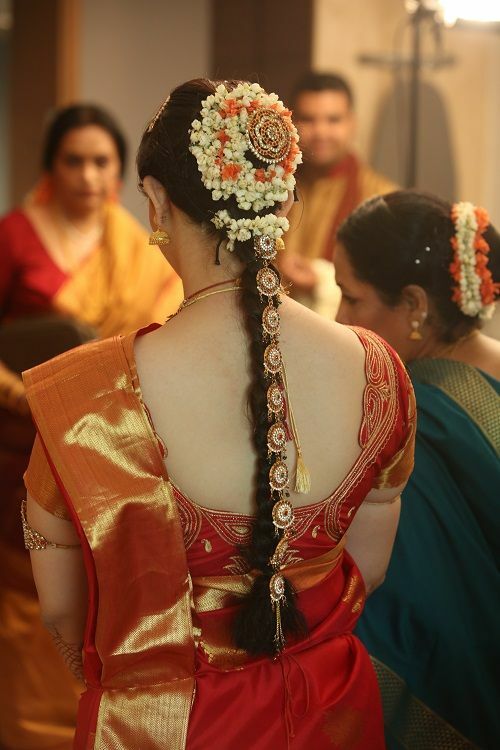 It had quirky answers to the typical questions that relatives ask about the bride and groom and a section on the wedding rituals,” shares Mridula Totally in love with the bride’s gorgeous maathapatti. 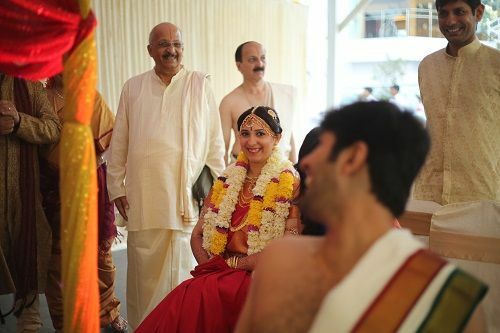 Mridula had to change twice during the wedding ceremony and chose to go with a traditional red and gold kanjeevaram saree as the first look. 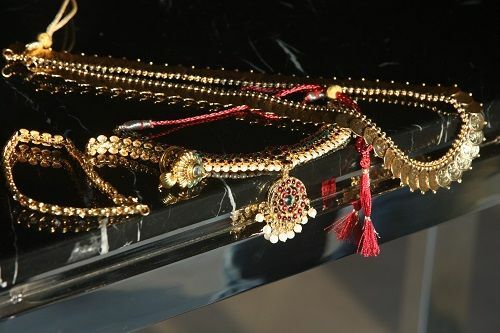 She paired it with South Indian temple jewellery. Hair accessory goals! For the second look, Mridula ditched the traditional maroon for a refreshing lime green and yellow saree that was draped in the typical Iyer style. 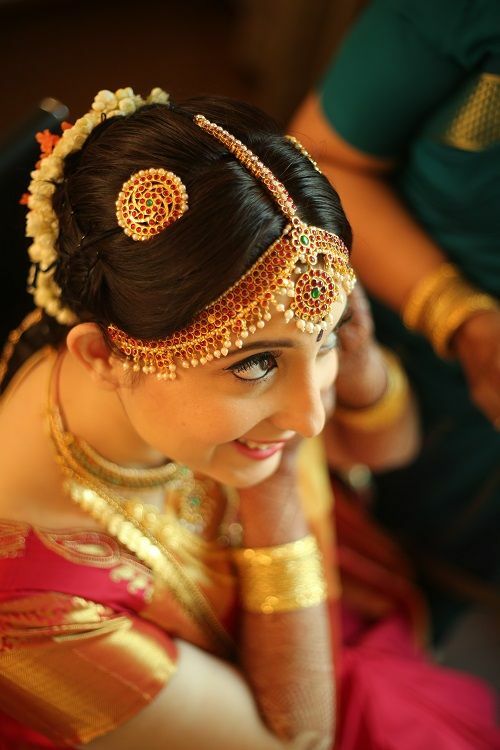 The bride’s makeup was done by Rukhsar Kadri. 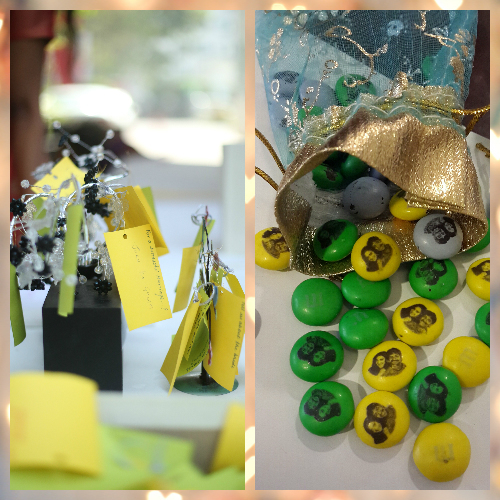 The couple also had a wishing tree and they gave out pouches of customised MnMs that had their pictures on them! How cool are these MnMs shipped especially from the factory in USA! Also, don’t miss the simple yet thoughtful wishing tree. This sweet and extremely adorable wedding was shot by Movie’ing Moments and we wish the couple lots of love and happiness in times to come. Images courtesy Mridula Iyengar. HAVE A STORY IDEA FOR POPxo? If you want to hear about it, we can write about it! Just tell us your idea here! MUST-READ: #POPxoBrides: Karishma And Rahul’s Dreamy Engagement Ceremony MUST-READ: Ashmeet & Onkar’s Super Pretty Wedding Will Make You Go Aww!